"We are utterly delighted to have these amazing musical acts join the festival," say the Trinity team [in Jan 17 post]. "We are sure they need no introduction but trust us, you will be enthralled! Let’s get The Assembly rammed full of people, make some new friends, make some great memories and help to make a difference." The folks behind RosFest (mainly George Roldan), are branching out by initiating RoSFest On Tour, with the first announced date and artists being November 18, 2016 with Jolly and No More Pain (NMP). 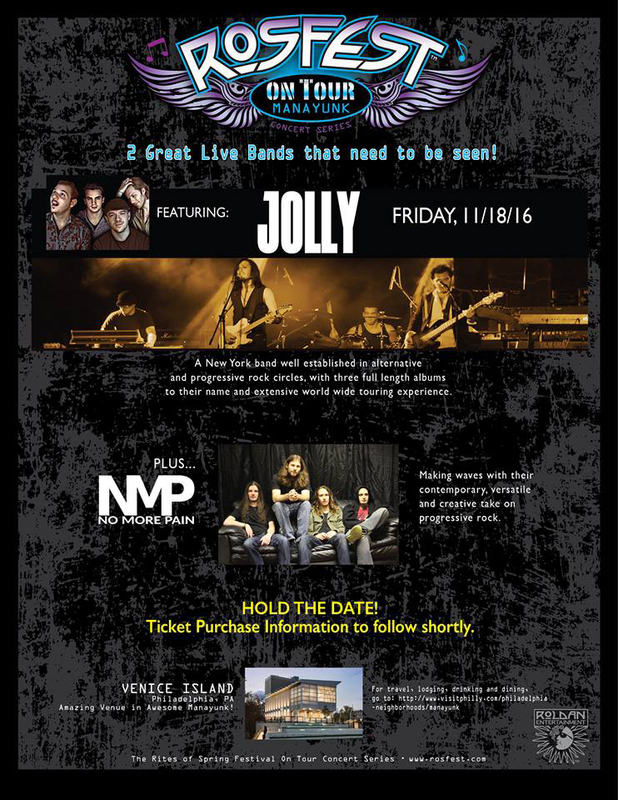 The event will take place at Venice Island in the Manayunk section of Philadelphia, PA.
Jolly are a "New York band well established in alternative and progressive rock circles, with three full length albums to their name and extensive world wide touring experience," the announcement notes. No More Pain are a four-piece from New Jersey. "They are concentrated as a true progressive rock arrangement with a grungy epicenter," the band note on their website. They have released two full length albums plus one EP, which came out just this past May. As reported by Prog, Knight Area have withdrawn from the Summer's End festival (September 30-October 2, Drill Hall, Chepstow, UK) due to "technical demands." The full quote (well, most of it) is, "Due to technical demands which cannot be met, we have to withdraw from Summer's End. Both organising committee and we as a band decided together in good harmony that we would not be able to take care of a top-notch show as the technical conditions we need to give our audience the show they deserve could not be fulfilled. “Knight Area will be part of the Summer's End festival in a future edition of the festival and we look forward to this. We feel sorry not to play, especially for the fans who bought tickets, but we hope you will understand that we only want to play if we can perform to the standards we think are necessary for a good show." It was announced earlier this week that the previously announced Gloryhammer had to cancel their appearance at next weekend's ProgPower USA XVII festival, owing to the periennial "fly in the ointment" - visa issues. In their place, opening on Day Two (Thursday, September 8) will be Ghost Ship Octavius, a group that includes guitarist Matt Wicklund (God Forbid, Himsa, Warrel Dane), drummer Van Williams (Nevermore, Ashes of Ares, Pure Sweet Hell), vocalist Adõn Fanion, and bassist Dagna Silesia (Warrel Dane, The People Now). They have released one album so far, 2015's Ghost Ship Octavius. "We're happy to announce that The Fierce and the Dead will be the opening band for Sunday at Rosfest 2017. This slot at the festival is often dubbed The Church of Prog; the truly dedicated audience filling these chairs on an early Sunday morning, receptive to good music and eager to spread the word about it, is the equivalent of a congregation in progressive rock circles. The Fierce and the Dead formed accidentally, beginning with the recording of UK artist Matt Stevens' solo album and instead leading to the formation of a band. This band has become so popular that Matt's solo career has taken a back seat. After signing with Bad Elephant Records in 2013, the band released their second album Spooky Action, followed by the EP Magnet in 2015, with more material on the way. 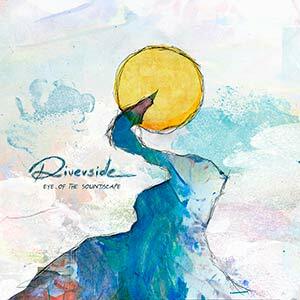 Earlier this month, Riverside announced the October 21, 2016 release of a new album, Eye Of The Soundscape, "the first instrumental [album], which is a compilation of songs from the years 2007 to 2015 as well as new tracks recorded at the beginning of 2016. On August 26, RosFest announced: "We're excited to announce that legendary Swedish band Änglagård will be the Sunday night headliner at ROSfest 2017, concluding the festival as the final band. "Änglagård was initially formed in 1991, and in just a few hectic years they released their debut album Hybris, played at Progfest in Los Angeles, and released their second album Epilog. They then disbanded, although a live album Buried Alive surfaced a couple of years later. In 2002 the band reformed, played at festivals in Germany (Freakfest) and the US (Nearfest), and then went into hiatus. Let's catch up - and catch you up, maybe - with some recent RosFest news, namely, the first three bands announced for 2017! On June 20, it was announced that the Saturday headliner would be The Neal Morse Band. "Neal Morse is a household name in the world of progressive rock. His tenure as a founding member of legendary US progressive rock band Spock's Beard initially brought him to fame, but his name and stature as a band musician and solo artist have continued to soar after leaving the band in 2002. Neal has produced numerous solo albums, some exploring progressive rock and others focusing on Christian worship music. He is also a key member in progressive rock supergroups Transatlantic and Flying Colors, and was an instrumental member in The Beatles cover band Yellow Matter Custard, where he worked with Mike Portnoy and Paul Gilbert. The fifth edition of HRH Prog is scheduled for March 16 - 19, 2017 at Camp HRH (Hafan & M&ocaret;r) in Pwllheli, North Wales. This year's lineup includes IQ, Pendragon, Karnataka, The Enid, Gong, Curved Air, The Strawbs and many more. 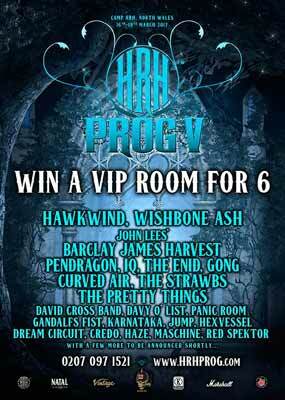 "So if you want indulge in a weekend of amazing sounds and outstanding bands... enter here and test your line of fortune... www.hrhprog.com/competition.html. Details for the fourth Cruise To The Edge excursion -- prog-rock’s largest festival at sea hosted by classic rock icons Yes -- have been announced, and it promises to be one of the best. 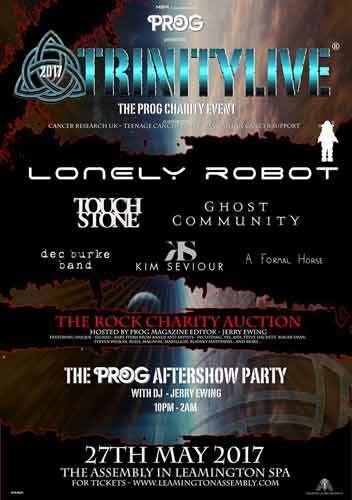 Featuring the greatest prog-rock musical artists, CTTE has teamed up with Royal Caribbean for the party, which runs from Tampa, Florida to Cozumel, Mexico February 7-11, 2017. Next year's cruise has been upgraded to include two full days at sea, departing from Tampa for the first time. This full-charter cruise went on sale May 11, 2016 with cabins starting at $999 per person (double occupancy) with children 11 and under at the time of sailing are free when sharing a cabin with 2 full fare paying adults. Government fees, taxes, and gratuities are mandatory for all passengers regardless of age. For booking and more info, visit CruiseToTheEdge.com and connect on Facebook and Twitter.